Two women with the same name went in for mammograms on the same day at the same hospital. One of the tests came back with a worrisome finding; the other looked fine. Unfortunately, the women wouldn't know their true conditions for nearly a year because the results were sent to the wrong primary-care physicians. For the woman who was told about a potential cancer diagnosis, the results led to unnecessary testing. For the other woman, who thought she was in the clear, the results led to something much worse: time for what might have been cancer to grow. “Some of the worst errors have to do with blood transfusions or radiologic studies being confused,” said Dr. Sean Kelly, chief medical officer of IT security company Imprivata, who related the anecdote. Errors in patient matching are not new. Yet digital technologies—electronic health records in particular—have greatly exacerbated the challenge of ensuring that clinicians not only accurately identify patients but match them to their medical records. There's a lot more data flowing around and between health systems now than ever before. Estimates of patient-matching accuracy vary, but most say that it hovers around 90%. The problems posed by the remaining 10% are costly, both in terms of safety and money. Some 86% of respondents to a 2016 Ponemon Institute survey (sponsored by Imprivata) said they had seen or knew of medical errors due to patient misidentification. And repetitive care due to duplicate records costs an average $1,950 per patient per inpatient stay, according to market research firm Black Book. Efficiency drops too, as duplication occurs in some cases and gaps in data open up in others. The speed at which data move today only elevates the seriousness of the problem, said Sandy Wolfskill, director of healthcare finance policy and revenue cycle MAP at the Healthcare Financial Management Association. Errors can spread fast, and multiple records for the same patient could rapidly build up. “It can be a critical quality failure and potentially life-threatening,” she added. It can also be downright frustrating. Beyond that, multiple or erroneous records can lead to billing problems, Wolfskill said. “If we don't correctly identify the patient, when we go out and try to verify the insurance, we're probably not going to get a valid response,” she said. So health systems are searching for a combination of digital and manual fixes. They're using tools that run probabilistic matching on records, and they're also training patient access staff to match records by hand. Most health systems use a combination of demographic information and internally assigned patient identifiers to match patients to their records. At Geisinger Health, for instance, staff use a master patient index database that spans the entire enterprise to match patients to their records. Every day, several people work to keep the master patient index data “clean” so it can probabilistically match patients correctly more than 90% of the time. 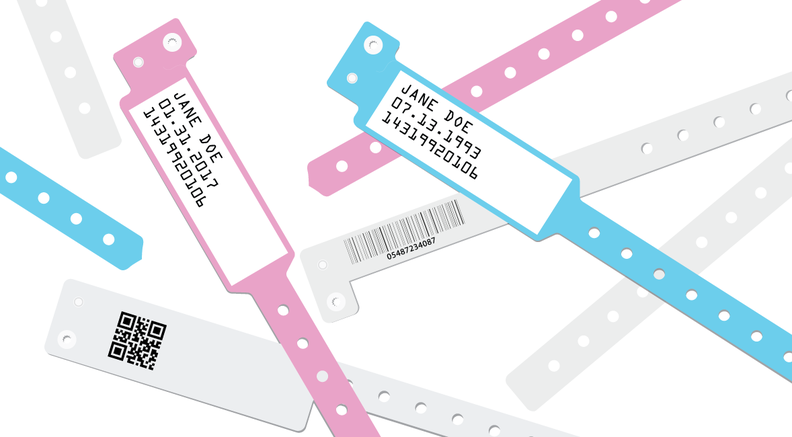 Sometimes, if one hospital tends to receive the majority of external records from another hospital in particular, it'll keep the internal patient identifiers on hand. But doing so can get unwieldy. Some health systems are layering software on top of their EHRs to address the problem, at least internally. Imprivata software, for instance, relies on palm vein scanning to identify patients and integrates with health systems EHRs. In that case, matching depends on each patient's hand. Soon, matching might depend on patients' hands in another sense, as health data stored on smartphones becomes more common. In early 2018, Apple launched a new version of its Health app that allows patients of certain health systems to download their health records onto their iPhones. It's one big step toward making patients the agents of interoperability. As the industry waits to see what difference Apple will make, health systems should work together more, said Micky Tripathi, CEO of the Massachusetts eHealth Collaborative. “Sit down with that other organization to say, 'We're going to be exchanging a lot of records, so let's have our patient-matching folks agree on the five fields of data we're going to exchange every time.' ” The health systems also need to agree on formats—whether a phone number should have dashes, for instance. The Sequoia Project, with the Care Connectivity Consortium, recently released an updated version of its patient-matching framework, in which the authors set a maturity model and minimally acceptable best practices. To force people to get on the same page, some think a national patient ID would be easier. But it's an uphill battle. “If there had been a nationwide patient identifier as HIPAA called for when EHRs were introduced, then perhaps that would have put us on a path toward much more efficient and much better matching than we see today,” Tripathi said. But Congress and privacy concerns have gotten in the way. Although HIPAA mandated creating unique identifiers for patients, employers, health plans and providers, Congress banned HHS from spending money on one. Some private groups have tried their own approaches. The College of Healthcare Information Management Executives, for instance, sponsored a two-year, $1 million national patient identification challenge—only to call it off the month it was supposed to announce a winner, saying “we ultimately did not achieve the results we sought to this complex problem.” CHIME officials noted that the industry and government officials need to work together to find a solution. The government might now be able to offer some assistance: In 2017, Congress passed a budget bill that allows HHS to provide technical advice and suggests the Office of the National Coordinator for Health Information Technology and the CMS help the private sector come up with a “national strategy” for patient matching. Even so, if the government instituted a national patient ID, it might not work the way proponents expect. For one, a patient ID would take years to implement, with arduous system upgrades required. But even if it didn't, “it actually doesn't solve the problem, because what happens is at that point, the national patient ID will just be included as another identifier,” Tripathi said. At this point, he said, the primary issue is efficiency. And that still matters.